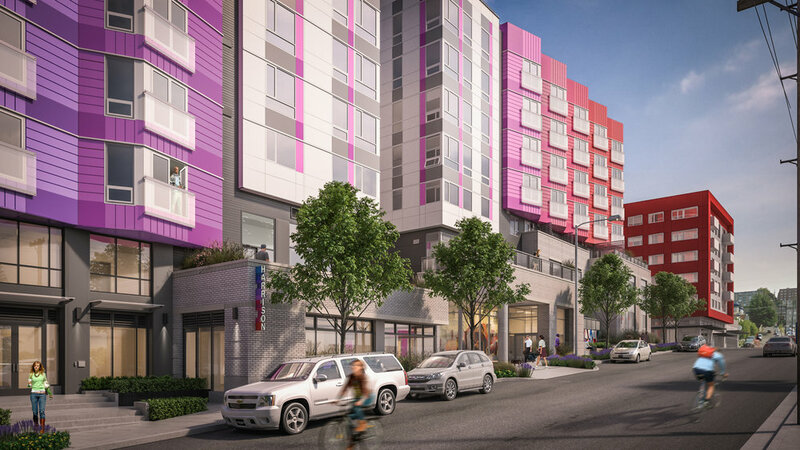 Project Overview: The residential structure, Chroma, is the area’s most colorful architecture in Seattle’s most bustling neighborhood. 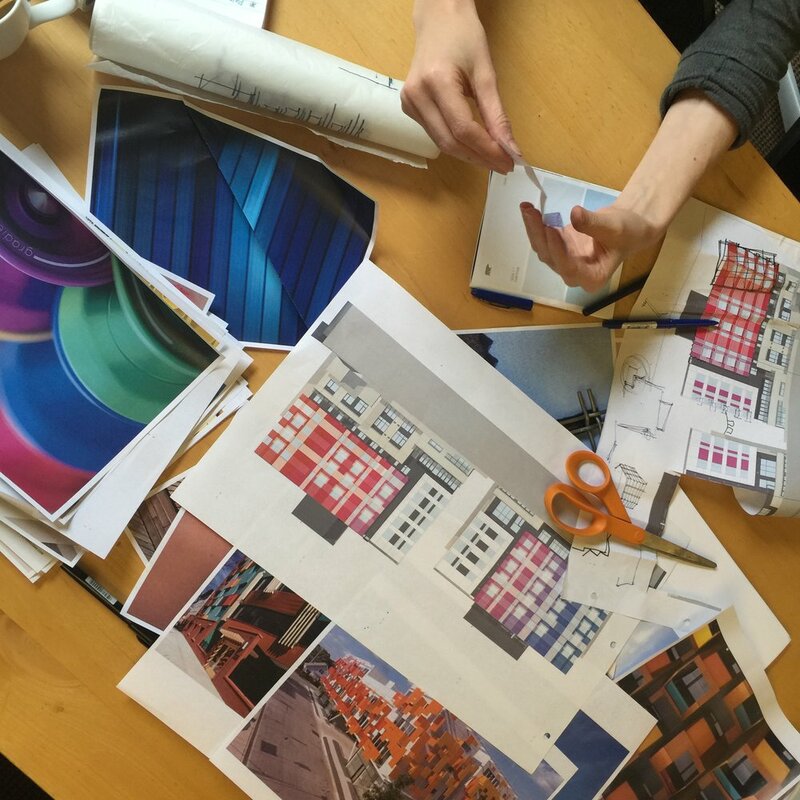 The brightly colored and pleated façade overlooks Cascade Park and is slated to be the community’s creative hub as it collaborates with local artist in creating dynamic artistic experiences throughout the building. Artist Role: The role of the Artist was to work with Holland and Ankrom Moisan Architects to develop a conceptual direction for the residential building façade that inspired the overall structure, curatorial approach and branding.